If paradise means sailing in clear blue water, sunning on glorious beaches rimmed with palm trees, romantic island hideaways, first class cuisine and shopping, all surrounded by some of the best natural, cultural and historical sites in Europe, then let Dream Yacht Charter take you to the playground of kings and queens—the French Riviera. 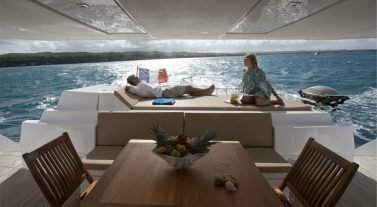 Request a free quote for the Côte d’Azur charter of your dreams! 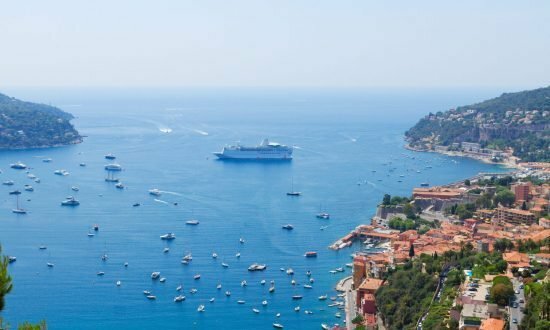 From our base in St. Mandrier sur Mer, Port Pin Rolland, on the western end of the Azure Coast, you’ll experience inspiring sailing along some of the earliest Western trade routes. From Marseille to St. Tropez, the Iles d’Or to the Calanques – there are resplendent beaches, majestic flora, and protected aquatic wildlife. 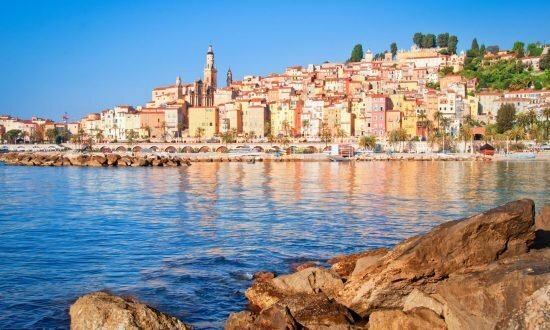 St. Tropez has long been a favorite destination of artists, writers, and celebrities. 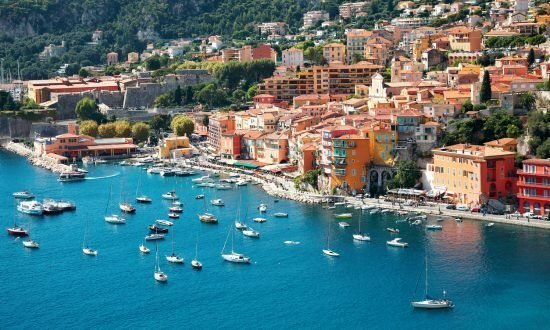 An early trading port, it became a fashionable resort in the 18th century because of its long, golden beaches and nearby Provencal landscapes – and it still aims to please with fine French cuisine and designer shopping. Toulon is known for its fountains and opera house. There are sheltered, sandy beaches in Mourillon, and a cable car that runs up Mt. Faron. You can visit the Museum of the French Navy, and visit the oldest resort on the French Riviera. A must on any Cote d’Azur cruise are the Iles d’ Or. 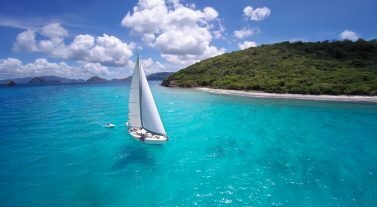 There you’ll find protected anchorages, lovely beaches with plenty of opportunities for lounging and snorkeling, and an 1837 lighthouse. From our two bases in Marseille (Port Corbières and Vieux Port – “Old Port”), you’re right in the heart of Provence and as close as possible to the Calanques (rocky inlets). Easily accessible by TGV or plane, Marseille benefits from a rich maritime and cultural heritage. 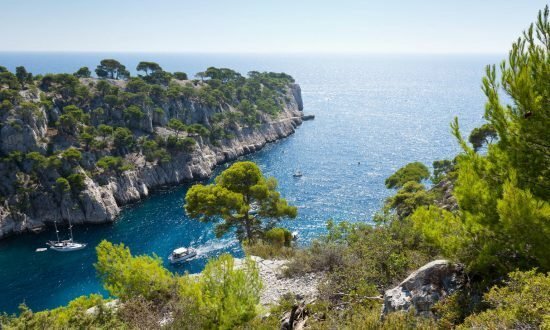 The National Park of the Calanques, created in 2012, spreads betweens the cities of Marseille, Cassis and La Ciotat and covers some 11,100 hectares on the ground and over 140,000 at sea. ATMs: near the base at Les Sablettes, or in the airport or train station. Climate: The Mediterranean can be divided in two large zones. West of Toulon, northwest winds dominate throughout the year. The “Tramontane“ blows from the Pyrenees to Sète, and “the Mistral” blows down from Vallée du Rhône and may even reach as far as Corsica and Sardinia. Summer breezes that rarely exceed 15 to 20 knots from the south and southeast are most common during summer. The Mistral is responsible for the exceptionally sunny conditions in the region. East of Toulon, the Mistral’s impact is moderate. South and southeast breezes off the sea and rarely more than 15 come up about noon, and then calms down in the evening. Sea and Tides: A strong swell from the south, southwest builds west of Toulon, but is considerably weaker east of Toulon. Water temperatures in the summer are perfect for water sports of all kinds. Tides are less than 30 cm. Winds: May to September generally light on East side and West side. Strong North West (Mistral – 2 or 3 days). Day 1: Embiez Island – Anchor at the Island of Grand Rouveau situated in the West. Day 2: Cassis – Anchorage at Pampelonne Bay. Discover the old harbor, the citadel and the charming old city. Stroll along the narrow roads and visit the Annonciade Museum. Day 3: Calanque de Morgiou – Pretty anchorage with crystal clear water and sandy seabed’s. Day 4: Marseille Old Harbor – Beautiful anchorage at the North of the bay in a beach encircled with pine trees. Day 6: Bandol – Stopover to discover the exceedingly fine restaurants of Bandol, renowned for its delicious red and rose wines. Return to the base in the afternoon. Day 1: Porquerolles – Anchorage for the night at the Baie de l’Alicastre. Day 2: Calvi – Beautiful sights with a chance that you might discover dolphins, turtles and even whales. 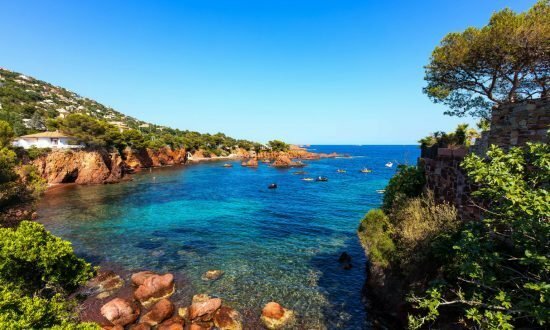 Day 3: Natural Reserve Scandola / La Girolata – After visiting the citadel of Calvi, navigate to the South and the natural reserve of Scandola. Day 4: Ajaccio – A wonderful day of sailing along the coast as far as the îles Sanguinaires (Bloody Islands). Arrival at Ajaccio in the late afternoon. Day 5: Porto Polo – Visit the city of Napoelon and sail further to the paradisiacal anchorage of Cala d’Orzu where you may have lunch at the famous straw hut. Day 6: Cargèse – Navigate towards the North to anchor in the late afternoon at Cargèse, a picturesque village. Day 7: Calvi – Anchor at the magnificent cliff of Piana for lunch, an exceptional landscape. Day 8: St. Florent – Sail towards the Désert des Agriates. Anchor at the breathtaking beach of Saleccia. Overnight at St. Florent. Day 9: Centuri – Sail around the Cap Corse: untouched nature with extraordinary landscapes. Centuri is a small picturesque harbour. Day 10: St Tropez – Anchorage at Pampelonne Bay. Day 11: Bonporteau Bay – Discover the old harbor, the citadel and the charming old city. Stroll along the narrow roads and visit the Annonciade Museum. Day 12: Ile de Port Cros – A beautiful anchorage in the North at a beach encircled with pine trees. Day 13: Let yourself be guided by an array of indicated botanical paths as you discover the exceptional landscape of Port Cros. For snorkeling fans, the undersea discovery is a must. Short sail towards the Baie de l’Alicastre at Porquerolles. Day 14: Porquerolles – A small paradise where driving cars is strictly forbidden. Porquerolles can be visited on bicycle or by foot. This village with its small harbour are a perfect spot to relax. Airport national Toulon-Hyères 25km (51mn) from the base. Airport international de Marseille 100km (1h30) from the base. Casino of Sanary, ask for Sylvie Falduto at 00 (33)4 94 10 49 03. Intermarché of La Seyne sur mer : Mr Héritier or Mr Boldrini : 00 (33) 6 94 11 52 70. Advice : Check weather forecast every day, Mediterranean climate can change suddenly.